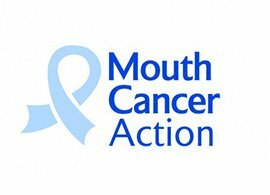 At AP Smilecare we always like to keep on top of the latest healthcare and dental awareness campaigns – which is why we’ll be supporting Mouth Cancer Action Month this November. The campaign aims to raise awareness of mouth cancer and, as a result, save thousands of lives through prevention and detection. With more than 6,700 people diagnosed with mouth cancer last year in the UK, the disease is a real risk affecting many. In fact, it’s grown by a third in the last decade and remains one of the few cancers that’s predicted to grow over coming years. Poor diet and lifestyle. 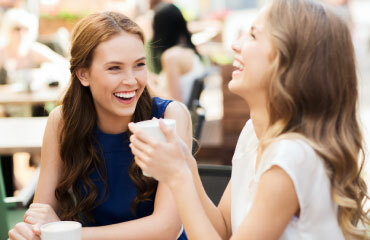 In fact, more than 90% of mouth cancers in men and 85% in women are linked to lifestyle and environmental factors. You need to check all areas of your mouth for these symptoms, including your lips, your tongue, the roof of your mouth and your inner cheeks. Cancer of the tongue and oral cavity are the most common forms of mouth cancer, followed by the throat. Lip, neck and other mouth cancers make up the rest of the cases of the disease. At AP Smilecare we will also look out for the symptoms above at every one of your dental appointments. However, if you have any concerns prior to your next dental appointment it’s important to book in to get your symptoms checked out. If caught early enough the chances of surviving mouth cancer are good. If you’d like to join us in raising awareness of the disease, why not get involved with the following initiatives? Blue Wednesday – Designed especially for Mouth Cancer Action Month, Blue Wednesday, which takes place on the 18th November, requires you to pick out something blue and wear it to show your support. Blue ribbons and fun plastic blue lip pieces will also be available to purchase to support the event. Sporting fundraising – From cycling the Great Manchester Cycle to undertaking an epic trek or obstacle course, there are plenty of ways you can raise money. To find out more about our dental care service, or to book an appointment with one of our dentists, give us a call on 01254 297000.